Parts for the Ford Tempo might be hard to find, but not at FordPartsOnSale.com. We carry all the replacement parts you need for your Ford Tempo. We only offer genuine Ford parts, so you know you are getting exact fit replacement parts for the Tempo. Every part we sell is an OEM Ford part. Belts and Hoses – The belts and hoses on your vehicle wear out over time. Check them for wear and replace them as needed. We have these and other maintenance items. Ignition – The ignition starts your vehicle for you, and should any of the ignition parts fail, you may not be able to start your engine. We have switches, coils and more. Brakes – The brakes on your vehicle stop it when you press the pedal. You need to check your brakes for wear at regular intervals because pads wear out. We have pads, rotors and calipers. In addition to carrying genuine OEM Ford Tempo parts, we also offer fast, affordable shipping to help you save even more money. 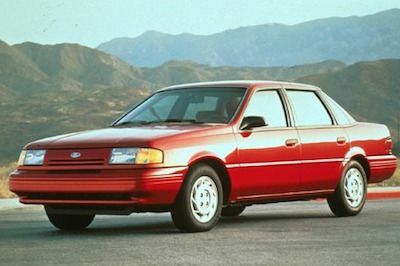 Order your new Ford Tempo parts today.